During a press conference Tuesday, just hours after multiple attacks wreaked havoc in the city, Ted Cruz explained how he'd respond to the Brussels attacks if he were president of the United States. The Republican presidential hopeful said his counterterrorism strategy against ISIS following an attack like the one in Brussels would include “carpet bombing them to oblivion." 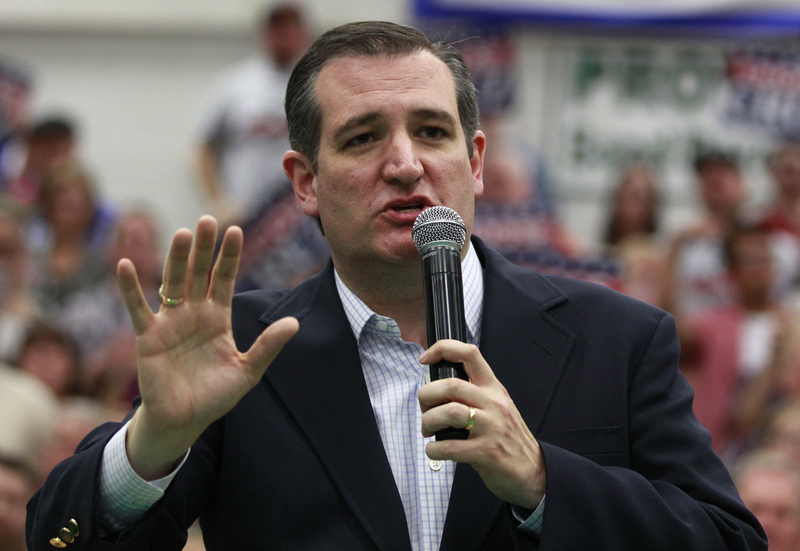 "We should use overwhelming force," Cruz reportedly told reporters at the conference. "Kill the enemy and then we should get the heck out." Update: ISIS has claimed responsibility for the Brussels attacks in an announcement Amaq, a news service affiliated with the group. However, the part of Cruz's remarks that has caught increasing attention is his claim that suggest the U.S. should give police the power to monitor and potentially exert control over Muslim communities. "We need to empower law enforcement to patrol and secure Muslim neighborhoods before they become radicalized," Cruz said in a statement posted on his Facebook page. During what appeared to be a hastily thrown-together presser (at least, based on the Twitter photos and comments), Cruz said "the time for the president's political correctness has passed" and denounced plans to take in Syrian refugees. He said that in many ways, what happened Tuesday in Brussels was "the fruit of a failed immigration policy." Cruz repeatedly said that the United States must intensify its vetting process before allowing Syrian immigrants to enter the country, citing the San Bernadino attacks. "We need to immediately halt the flow of refugees from countries with a significant al Qaeda or ISIS presence," Cruz said in a statement. Perhaps unsurprisingly, many Americans have reacted with alarm to Cruz's proposed plan to halt Islamic radicalization, both denouncing and mocking it. Others have pointed out that Cruz's proposals to enable the policing of Muslim communities is unconstitutional, which is pretty ironic considering that the Texas senator considers himself to be a legal scholar. Greg Lipper of Americans United for the Separation of Church and State, which describes itself as a "national religious liberty watchdog group," pointed out that Cruz "should maybe read this Oct 2015 fed appeals decision, holding that religious profiling is unconstitutional." Cruz also used the Brussels attacks to take aim at Republican presidential frontrunner Donald Trump's foreign policy plans, which include encouraging the U.S. to take on a more isolationist approach to international diplomacy. "Donald Trump is wrong that America should retreat from Europe, retreat from NATO, hand Putin a major victory and while he’s at it, hand ISIS a major victory," Cruz said. While ISIS claiming responsibility for the devastating attacks will almost certainly increase fears of Islamic radicalization, Cruz's plan is even more disturbing in light of the new information. People who fear the threat of global Islamic radicalization and terrorism aren't necessarily wrong, but those who think that the best strategy to combat these concerns is to promote unconstitutional, anti-Muslim policies certainly are.